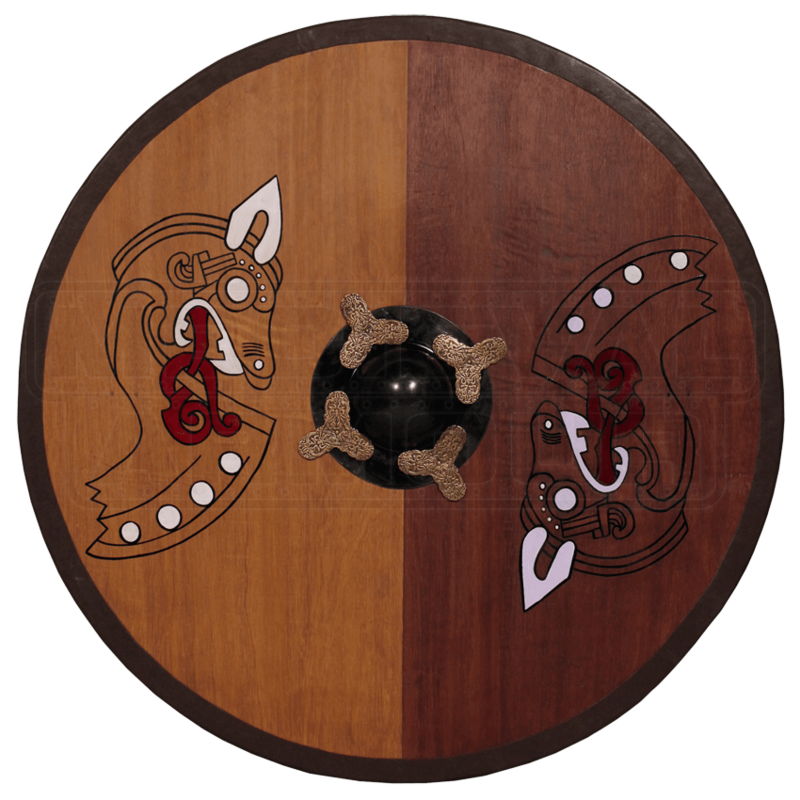 Norse culture gave rise to some of the greatest warriors of an age, and this Round Horse Warrior Viking Shield shows a bit of the nuance to their culture, depicting an animal that was revered and valued by Norsemen and Vikings throughout the years. The round shield was, perhaps, the most favored shield of the Vikings. Not only was it easier to make, but the round shape made it a strong shield that was easy to use, too. This particular shield reflects the respect and veneration that Norsemen had for their horses, depicting a pair of mirrored warrior-stallions, with ears turned up and fearsome teeth exposed. The shield itself is made entirely from hardwood and ringed with a metal brace. The center of the shield features a burnished black boss adorned with Y-shaped etched plates. One half of the shield has a faded yellow coloration, while the other half is a more natural, reddish-brown coloration. The shield is fully functional, and has a total diameter of about 36 inches. 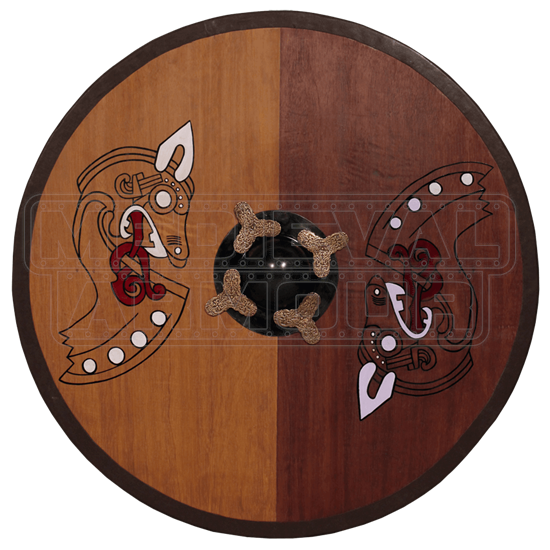 Not only is it a shield that will keep you safe from harm, but this Round Horse Warrior Viking Shield is also an impressive showing if iconic Norse style, one that will serve well as a decoration to have mounted high on the wall in your mead-hall and longhouse.